Viewing 0 current events matching “social” by Date. Viewing 100 past events matching “social” by Date. The Portland Lunch 2.0 saga continues at flex term office space provider souk, once again in Old Town on July 16, 2008. We won't stop until we have Lunch 2.0 at every, single business in Old Town. Lunch 2.0 is a Valley phenomenon that you can read about here, and we're putting a PDX stamp on it. Come one, come all, whether geek or not. Have some lunch on souk, mix and mingle with your fellow Portlanders, learn about the tech scene in Portland, go home or back to work happy and full. This is our monthly gathering for the entire Portland design community. Social interaction and networking is the core of this monthly event. AIGA Portland wants to encourage discussion, business development, and help foster a more dynamic design community here in Portland. It’s simple. When you arrive, you’ll get a sticker to wear. Venture forth, find another sticker-wearer and offer them a drink. That’s the trick: you can’t just drink your own, that just wouldn’t be social. It’s a great way to break the ice. Come join us downstairs at the Life of Riley tavern. There's no charge to come spend a few hours with your fellow creatives, but in the spirit of the season, we'd encourage you to bring along a canned good donation and wear your best, bad, holiday sweater. Interested in seeing a sustainability-focused unconference in Portland? Come to the Red and Black and help us figure out how to make it happen. This was originally scheduled for December 21, has been rescheduled due to snowpocalypse. Contact klint at klintron dot com if you can't make it but are interested in the project. Join Chris Heuer, co-founder of the Social Media Club, at the re-launch of Social Media Club PDX as he discusses how companies can transform their organization through the use of social media. Chris will discuss the elements and framework for creating a successful social media strategy and how to get your organization and clients behind it. He will also examine how companies need to re-think current advertising methods and their purpose in order to utilize the full potential of social marketing. Q&A session will follow. Visit www.socialmediaclubpdx.com to learn more or follow @socialmediapdx on twitter. About Chris Heuer: Chris Heuer has over 13 years of entrepreneurial Internet experience and 16+ years of marketing experience, having previously taught classes at Miami Ad School in Web design, multimedia and convergence marketing. He currently specializes in consulting on holistic business strategy and social media for big brands, non-profits and emerging technology companies, helping them leverage the power of Internet and Web 2.0 technologies. In early 2006, Chris formed BrainJams to organize resources and best practices in the emerging "Unconference" movement, striving to bring social media tools and Open Space gatherings to a wider audience. These efforts have no resulted in the launch of Social Media Club in order to better realize the vision he has for bringing diverse groups of people together to share their understanding of best practices in social media and "Real Marketing." The mission of PDX Critique is to provide a monthly forum for Creatives of any stripe (graphic, web, whatever) to share information and constructive criticism. We will be meeting at the Open Source Bridge conference in the Marquam room at the Oregon Convention Center. You do NOT need to be registered for the conference to be able to attend the pdxcritique session. The dMob Concept This is our monthly gathering for the entire Portland design community. Social interaction and networking is the core of this monthly event. AIGA Portland wants to encourage discussion, business development, and help foster a more dynamic design community here in Portland. Plus, with such a plethora of independent breweries, our choice of venues and beverages is expansive. Fees Free and open to the public. That’s right, no charge! For one, you’ll have a great time. And even better, it’s an amazing opportunity to network and meet fellow designers. How It Works It’s simple. When you arrive, you’ll get a sticker to wear. Venture forth, find another sticker-wearer and offer them a drink. That’s the trick: you can’t just drink your own, that just wouldn’t be social. It’s a great way to break the ice. dMob now has a permanent web page on the Portland AIGA site. Go to http://portland.aiga.org/events/network for all your linking or bookmarking needs. We will be meeting Friday August, 28th at 6 pm at the Lucky Lab, S.E (Hawthorne) to discuss our future. We would love if you could join us and help us sort out meeting spots, what you would like to see happen with this group, meeting times and any other things that might be on your mind. This is a social meeting, but if you have any things you need reviewed, we would love to help you out. Just let us know. The first Sunday of every month, the Portland Go Club hosts a casual workshop for this ancient, pan-Asian board game. This is a free event with garden admission. Enjoyed by classical Chinese scholars for thousands of years, Go (Wei Qi in Chinese) is a simple looking yet strategically complex game for people of all ages. Join CivicApps, Microsoft and the Software Association of Oregon at NedSpace Downtown to network, socialize, and publicly honor the best app entries for the first round of apps development. The evening will culminate in the "Best of Show" award, recognizing the top app among the "blue ribbon" award winning apps for Most Useful, Most Appealing, Most Original, Best Use of Data and Civic Choice apps. Hors d'oeuvres, beverages, and a no-host bar will be available. Aug 10, 2010 Pythonic Summer Social Hour! The next PDX Python meeting is just over a week away, and since the Webtrends space is not available the plan is to meet at Produce Row around 6:30pm. The pub is open to all ages until 9pm, so I hope everyone will be able to join us for an evening on their new patio. They've actually redone the entire interior, as well. I went there tonight to make sure they'd be able to accommodate us next week, and it looks awesome! We are excited to celebrate the completion of Portland Ten's 2010 Summer Startup Challenge. It has been a great summer and we would like to recognize all of our founders' hard work! We will be honoring the graduates of the summer Portland Ten and Sprint programs as well as celebrating the 18-month birthday of Portland Ten! Drinks and dessert will be served! Please RSVP on Upcoming @ http://bit.ly/dBHh3R or email cduncan@portlandten.com. We still have some homes available and are seeking additional members. Are you interested in joining Daybreak or do you want to learn more about us and cohousing? We hold regular socials to introduce you to our growing community. We value and enjoy the opportunity to get together with each other and with you. Socials are scheduled twice a month, the first Sunday and the third Thursday of the month. Come socialize with us in our Common House! We are interested in meeting you and having you get to know us a little bit too. In addition, we'll have short tours to view the property, the Common House and some of the homes. We still have some homes available. To honor our privacy, we request that everyone remain in the main part of the Common House area in which the social is being held or with your tour guide. The site is accessible for wheelchairs either by using the elevator on the Delaware Ave. entrance or up the entrance ramp at Killingsworth to our 'ground level' (the grade of the ramp does not match ADA requirements, but it is close and should not present a problem). Our address is 2525 N. Killingsworth St. The entrance is on Killingsworth between N. Delaware and N. Wilbur. Take the Yellow line MAX to the Killingsworth station. Or take the #72 Killingsworth or #35 Greeley bus. Want to find out more about Daybreak before then? Please contact Ken at AskAboutUs@daybreakcohousing.org or call him at 503-310-7044. The focus of this talk isn't on Facebook, or Twitter, or Buzz - but rather how current research understands social interactions work in the real work. Specific technologies will only be mentioned as to how they all get it wrong - and more importantly - how you don't have to. You won't want to miss this. It isn't another "Social network buzzword Twitter buzz buzzzzzz lol" talk - but real interesting research in human behavior with real implications on future UX design. I'll be going over mostly the research presentation by Paul Adams, who works as the UX research lead for Google's social initiatives. EDIT: Apparently today he accepted a job at Facebook. If you're like me, you spend WAYYYY too much time in front of a computer. I think it would be great to have a monthly get together at a bar or pub to just get to know each other, have a brew, and yes, talk about the business. Real human interaction, in other words. We meet the first Tuesday of every month. The plan is to have a series of Lighting talks around the topic of "Worst Useful Hack". Though our only scheduled speaker has come down with the sick so it might just end up being social hour... though if you have any ideas you would like to share please feel free to bring them up on the mailing list or on irc. Mock::Quick: (CPAN, Github) Is a modern mocking library taking advantage of modern Perl interface design. Like wine? Enjoy tasting ‘new’ wines? Join PDXfX on April 19th for our "Wine & Social Event" at the Courtyard Marriott. This event features an evening of mixing and mingling with friends old and new. Establish some new contacts and nurture existing relationships. See what your colleagues are doing and share what you are up to. Enjoy appetizers, live jazz and learn about 3 local wines while meeting other professionals in our community. General introductions will be made at 6pm. Plan to attend this fun night as this is one of our rare events that men are welcome! Admission is $30 for a flight of wine, gourmet cheese and more. Portland Female Executive Members will receive a complimentary glass of wine. Non-alcoholic beverages will be provided. And don’t forget about the door prize! Read who is attending on LinkedIn, Facebook & Twitter. Advance ticket purchases are suggested. $30.00 if registered by April 17th. ... oh that, I did that all the time in java/ruby/??? so you can do that in perl!? So what are some patterns for non-moose solutions? What else can you do with this stuff? As always, social time and drinks at the Lucky Lab Hawthorne (3 blocks north) post talk. Are you a Portland Startup Weekend Alumni participant, mentor, judge or speaker? Come join us for our new monthly Happy Hour get together! Catch up with your SW friends, hear what teams are up to, provide encouragement, and have an all around good time! This event is scheduled to follow Pitch Club, being hosted at P.I.E. starting at 6pm. Practice your pitch then come celebrate over a drink! 3 – 11:30pm Outlier Solutions, Inc,. You are invited to our open house event celebrating Outlier's expansion into a cool new space. We're also turning 7 years old, so there will be cake! Come Join fellow Ubuntu Users and Debian Folk for beer, snacks and some good socializing surrounding open source. This event is being held at Lucky Lab and attendees should bring $$ for their own food/drink. Hey, it's 12/12/12, and time for another evening of games with Comic Rocket! We've been doing this monthly since September and it's been awesome, so it's time to do it again! We're bringing our game libraries, including Risk, Blokus, Magic: The Gathering, Ricochet Robots, Order of the Stick, and many more games. Please bring anything you want to play too! It's been too long since we had folks over. And I swear, we somehow accumulated too much beer. ;) So we're having a drink night tomorrow (Thursday) from 6-8 pm. Come by, help us with our drink(ing) problem, and see some faces old and new. Amy, Mark, Rachel, and Jacob. COPIOUS is a user-centered digital experience agency. We build digital products with the user at heart and technology in our bones. We recently moved to a new office and now have a large space to host our TechTalks. COPIOUSLabs TechTalks series meets every other Friday at 1pm at the COPIOUS offices. Our talks span artificial intelligence, new programming languages and techniques, computational linguistics, geographic data processing, systems and software architecture, augmented reality, network security, and more as proposed to the Copious engineering team. Graph databases offer a unique way of looking at data. Rather than the familiar tables of data, graph databases store data as relationships between named things. So, they're an ideal choice for social networks, geogrpahic route planning, and campaign finance modeling. In this week's tech talk, Dann Stayskal walks us through how to configure a graph database called Neo4J to answer a few questions about social graphs: out of all connections on facebook, twitter, google+, and linkedin, who would it recommend to follow next? This will be a public-accessible tech talk with no technical background necessary to follow along! All are welcome to attend. If you have a talk that you'd like to suggest presenting, please email it to dann@copio.us along with a brief outline of what you'd like to cover. Come hang out and mingle with other amazing members of the tech community. Starting in August 2013, Stumptown Syndicate, the organization behind Open Source Bridge and many other great community events will be hosting monthly social happy hours so that you can meet and chat with members of our lovely community. Join in the fun! Stumptown Syndicate, the 501(c)(3) nonprofit that oversees events like WhereCamp Portland, Ignite Portland, BarCamp Portland, and Open Source Bridge, is having a Happy Hour gathering to bring together Portland's ever-growing tech community. Join us for drinks and food and stay for WhereCamp's kickoff party that starts at 6 p.m. Developers, designers and cleantech professionals! This is a networking event you don’t want to miss. You will learn about the Cleanweb Initiative and the movement in Portland. This event also connects PSU-TAO Cleanweb Hack participants as well as tech and cleantech industry professionals. The networking provides opportunities for the hackathon participants to discuss project ideas, scout out team members and learn hackathon 101 basics. It will also serve as a platform to open dialogue that connects cleantech and tech industry in Portland. This is free networking event. There will be food, drink and good conversations! Few revolutionary technologies have created new value pools, displaced incumbents, changed lives, liquefied industries, and made a lasting economic impact. We are fortunate to be witnessing a perfect storm of Mobile, Social, Cloud and Analytic's creating this tectonic shift. In this session we will explore the rise of this connected ecosystem and look beyond into the world of Contextual computing, Wearables and the Internet of Things. This will be the first presentation in a series of free monthly FutureTalks from disruptive Developers, innovative Technologists and world-changing Creatives. So invite some friends, come grab a seat (and a slice of pizza! ), and buckle up for what will be a very engaging event! Kick back with craft beer at a special happy hour for freelancers! Whether you’re a programmer or publicist, crafter or cook, you’re invited to mingle with other freelancers and independent business owners who share your goals and challenges. Choose from 62 eclectic craft beers on tap at the Green Dragon - a tasty menu (with vegan options) is also available. $15. Includes one free drink ticket. RSVP online. Freelancers Union promotes the interests of independent workers through advocacy, education, and services. Not a member? Be sure to join us - membership is free! The Local Wiki is an amazing resource. It has proven itself elsewhere (see daviswiki.org) and now we're starting the Portland version! Come join edit party #3! If there's interest, we can migrate to the café next door. And if you can't make it to the party, start a page from home! Add your favorite bubbler. Add your favorite café, neighborhood, or brewery! RSVP on the meetup.com site. Please and thank you! Be at the door by 5:30pm. Message me on Skype: tylerzika if you are running behind so we can buzz you in. Small presentation on the meetup idea and values at 5:45pm by Tyler Zika. Socialize, forming Master Mind groups, coding, and brainstorming from 6-7pm. Another small presentation. Topic and speaker TBA for remainder of meetup. Hatch, a co-working and incubator space for social entrepreneurs, is hosting Soup, a quarterly dinner to fund projects that benefit your community. Have a good idea or know someone who does? Apply online by April 30th. Want to eat some soup with your friends and support good ideas? Attend the event on May 18th. $20 pre-sales, $25 at the door. More info at www.hatchthefuture.org/programs/hatch-soup. Send questions to lauren@hatchthefuture.org. 4 – 7pm Base Camp Brewing Co.
Startup Happy Hour is a get-together for Portland's startup community, taking place every other Wednesday at a rotating brewpub. This is a purely social event — no nametags, no presentations, just hanging out with awesome people in a friendly, casual setting. What? Free snacks, beer/wine, tours, and conversation. Connect with staff, volunteers and other community members to get a special after-hours behind the scenes look at Free Geek. When? Thursday, October 2nd 5:30-7:30pm. We're offering casual tours at 6 and 6:30. Why? Why not! We're want to show off what we've been up to lately (did you know we're going for Responsible Recycler certification?) and hear your ideas about what we can do to better serve you and our community. Is Silicon Forest the new Madison Avenue? Find out at Startup Happy Hour, featuring a new twist — or if you prefer, an olive. You're invited to our Classy Cocktail Edition, taking place at Barlow, Portland's signature cocktail lounge. From 8 to 10 PM, enjoy an artisinal libation or two, shared in the exquisite company of the Portland Startup Scene. Let's celebrate on December 17th! Instead of our normal monthly talk and then drinks, this month we are going to just cut to the chase and have some drinks. Alcoholic and non-alcoholic drinks are on Refresh Portland! Come join us! Our Venue We'll be holding up for a couple of hours at Bunk Bar (1028 SE Water Ave) starting at 5:30pm. We'll have a couple of give-aways, but mostly it will just be a chance to hang out and enjoy each others company. And don't just bookmark it. Come! Legend tells of a happy hour for the Portland startup scene that brought everyone together at the Green Dragon on Fridays. We're not sure what happened to it, but one thing is clear: it's time to bring it back. Join us for our summer kickoff of Startup Happy Hour, beginning with a new tradition that rekindles and old one: a Green Dragon gathering on the first Friday of every month. 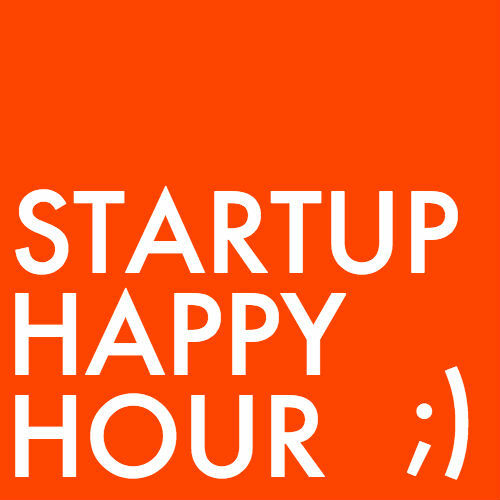 Startup Happy Hour is a happy hour for startups. No pitches or powerpoints -- just casual socializing with likeminded people. Join us as we gather together at the rising of the moon, around 9:30 PM. Does riding a tricycle to meetings make you seem more intelligent? It can if you work in tech. Join Seattle comedian Bridget Quigg for an evening of laughter as she spins her 11 years at startups into a celebration of the "quirks" of tech culture. Look forward to Quigg's signature mixture of games, stories, and music. Topics include the Agile Method, founders, recruiters, engineers, digital marketers, and outrageous snack options, like bone broth shots. The show sold out in Seattle and received positive acclaim from Geekwire, NPR, Broadway World, and more. Bring your friends for an evening of fun at The Funhouse Lounge. Oct 18, 2016 PDX Code Guild Demo Day! Join PDX Code Guild and our wonderful graduates for an awesome evening of final project demos, refreshments, and fun! POGO Events presents The Amazing Easter Egg Scavenger Hunt. A series of clues leads you around the city performing physical and mental challenges along the way. You can sign up as a team or as an individual and we will partner you with a team. It is a great way to connect with friends or meet new ones. A global competition for the world’s most promising startups tackling complex, regulated challenges to share their vision on a global stage, engage with industry leaders, and win grand prizes. Join PIE, in partnership with 1776 and Revolution, on July 6, 2017 for Challenge Cup Portland where 15-20 startups will pitch for the chance to win a paid trip to New York City for the Global Final round of Challenge Cup! Challenge Cup is a worldwide tournament for the most promising, innovative startups to win prizes, make connections, and share their vision on a global stage. This year, 1776 is partnering with 75 cities to host Challenge Cup Local events, and PIE is excited to host the competition for Portland's top startups! Interested in attending Challenge Cup Portland? RSVP today to see startups from your area in action! Nov 14, 2017 I want to work for NAVEX Global w/David Nash (powered by FREE PIZZA)! For November, we have David Nash as our very special guest. This is the last meetup for the year as we will be taking a winter/holiday break in December. So make sure you join us and learn from a Product Management legend in Portland! "Since arriving here in ’92 from New York, Portland has been very, very good to me. Like the TV commercial says, ‘I know a few things because I’ve seen a few things’. I would add that I’ve been blessed to meet some amazing people along the way. I came here courtesy of Intel, where I worked for some 17 years, and where I had the good fortune to reinvent myself several times: from motherboards to software-video & telecom, from Intel Labs, to venture investing and internal startups, I did everything I could to try new things, soak it all in, and become versatile. After leaving Intel in 2006, I spent 10 years at ADP Dealer Services (now known as CDK Global) where we built software for Automotive Retailers & OEMs. Last October – just about 1 year ago – I had the amazing good fortune to join NAVEX Global, who provides the world’s most comprehensive Ethics & Compliance SaaS platform – and has the inspiring mission of helping organizations protect their people, reputation, and bottom line. Our mission really speaks to me because, as a Boy Scout Leader for 25 years, I care a lot about integrity and being a servant leader. In addition to networking relentlessly along the way, I’ve also followed my passion in Product Management and created ProductCamp Portland in 2012. We’re running our 7th camp in March 2018. This one will be exciting for sure. And free pizza as usual! Hi everyone! This is the very first event in a new series of meetups for independent/alternative designers in Portland. Come on by and meet some folks! Let's talk about what we can do with a group like this. Work alone? Freelance? Self-taught? Only designer on your team? Only developer who cares about UX? You might be an indie designer. The goal of this group is to build community by sharing space, stories, process, techniques, and skills. We aim to help people feel more fulfilled, supported, and connected in their work. ALL people working or interested in design are welcome but most especially women, nonbinary folks, LGBTQA+, POC, and any others who are not well supported or represented in the tech industry. This is a community-driven event and so the format, process, and schedule of this series is still in flux. Things to think about: What do you need? How can we (this group) help? The topic for this meetup is: Design Workflow & Tools What's your design or front-end coding workflow like? What are some of your favorite tools? Share and learn. Venue: we'll be in the back room at Beer on Stark St.
We get together every two weeks to hang out, drink beer, meet new friends, and do a variety of design-related activities including discussions, workshops, skillshares, and hack days. Come join us and talk design! This is a community-driven event, so if you have ideas for future meetup topics, let us know. During the meetup please buy something to eat or drink to support our awesome venue. Do you freelance? Are you still learning? Are you the only designer on your team? Only developer who cares about front-end? You might be an indie designer. The goal of this group is to build community. We aim to help people feel more fulfilled, supported, and connected in their work. ALL people working or interested in design are welcome but most especially women, nonbinary folks, LGBTQA+, POC, and any others who are not well supported or represented in the tech industry. This topic of this meetup is: Money Any topic is game. Negotiation, salaries, rates, strategies, and also freelance/small business taxes (happy April!). Talking about money can always be difficult, so please be compassionate in your conversation. Come join Out in Tech Portland for our May Social at Crush Bar! If you are interested in connecting with the Out in Tech PDX chapter, want to meet some fabulous people or are apart of / interested in the Tech industry, then come mingle with us and have a few drinks. We'll be at Crush Bar on Tuesday, May 1st from 6:00 - 9:30pm. We are looking forward to seeing everyone there! The MBA is partnering with the Technology Association of Oregon to host a hackathon focused on improving access to justice and services for self-represented litigants and the homeless. WHAT IS A HACKATHON? A hackathon is an event at which a large number of people meet to engage in a collaborative endeavor, splitting into teams and brainstorming new solutions to existing problems. COLLABORATE AND TAKE ACTION: This is a 2 day event. Will we kick off the event on Thursday May 17th with an introduction to the problems being worked on, networking, and team building. Friday May 18th, teams will work on the solutions to the problems before presenting their solution to a panel of legal and technical judges. Partnering with a representative of the Multnomah County Courts to develop technology to assist those without limited or no financial resources in understanding where they need to be (and when) for court appearances, and assisting those individuals with transportation options and directions. WHO CAN ATTEND: This event is open to the general public! If you work in legal, are a developer, are a designer, work with the homeless population or have a desire to help, this event is for you! Know someone who is? Share this event with them. Space is limited, so register today. SPONSORSHIP OPPORTUNITIES AVAILABLE: Thank you to event sponsors Barran Liebman and University of Oregon. Additional sponsor opportunities available - please see sponsor form for details. For more information, contact the MBA at 503.222.3275 or hackathon@mbabar.org. Neurogeeks May Meetup features Dr Serena Saturn from University of Portland. Learn how social connection impacts neurophysiology. Come join Out in Tech Portland for our October Social at Crush Bar! If you are interested in connecting with the Out in Tech PDX chapter, want to meet some fabulous people or are apart of / interested in the Tech industry, then come mingle with us and have a few drinks. We'll be at Crush Bar on Tuesday, October 2nd from 6:00 - 9:30pm. We are looking forward to seeing everyone there! Join Out in Tech PDX on Thursday, October 11th for a panel on LGBTQ+ futures and the sharing economy! Stay afterwards for the social! Hosted by Airbnb. Come join Out in Tech PDX for our December Social at Crush Bar! If you are interested in connecting with the Out in Tech PDX chapter, want to meet some fabulous people or are apart of / interested in the Tech industry, then come mingle with us and have a few drinks. We'll be at Crush Bar on Tuesday, December 4th from 6:00 - 9:30pm. We are looking forward to seeing everyone there! 1 in 4 LGBTQ+ folxs face discrimination at work. 4 in 4 of them are fearless and proud. Join us on 12.12 for an all-star panel on being LGBTQ+ at work. Hosted at Adpearance, we will be talking to professionals from Adpearance, L2T Media, Nike, and Netlify about how they go about navigating professional relationships with both customers and colleagues while being LGBTQ+. Come join Out in Tech Portland for our FIRST SOCIAL OF 2019 at Crush Bar! If you are interested in connecting with the Out in Tech PDX chapter, want to meet some fabulous people or are apart of / interested in the Tech industry, then come mingle with us and have a few drinks. We'll be at Crush Bar on on Monday, January 21st from 6:00 - 9:30pm. We are looking forward to seeing everyone there! Come join Out in Tech Portland for our February Social at Crush Bar! If you are interested in connecting with the Out in Tech PDX chapter, want to meet some fabulous people or are apart of / interested in the Tech industry, then come mingle with us and have a few drinks. We'll be at Crush Bar on Tuesday, February 5th from 6:00 - 9:30pm. We are looking forward to seeing everyone there! Calorie restriction has been associated with greater longevity, how does that affect the brain? Gail Stonebarger is currently collaborating with the National Institute on Aging (NIA) to determine whether calorie restriction (CR) of 30% is able to delay or slow brain aging in rhesus macaque monkeys. Previously, CR has been shown in various species to enhance cognition and metabolic function, extend lifespan, and, in this population, extend healthspan. In this talk, Gail will discuss normal and pathological brain aging, the unique population of very old monkeys housed at the NIA, what effects CR has on the brain, and will also include future directions of this research.